To clarify, are you referring to C2? 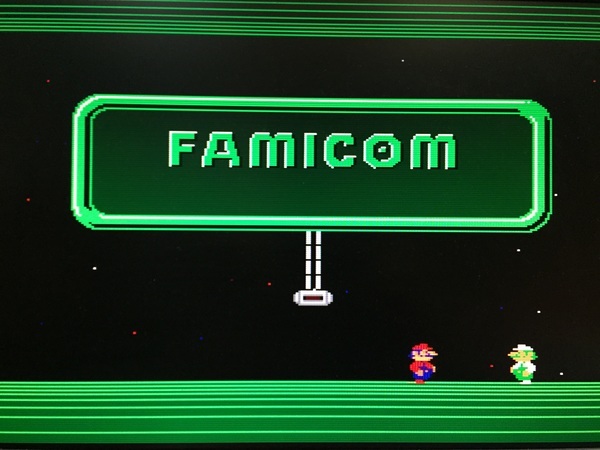 in the AV Famicom diagram? Its job it to silence the input to the cartridge mixer circuit. I haven't actually built it myself. If you say it doesn't work I'll try it myself and work out why. 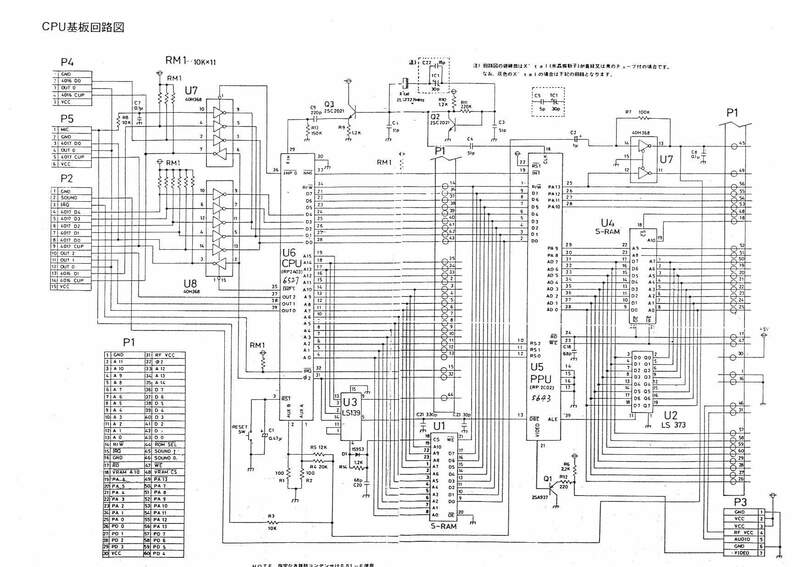 C2 in the AV Famicom diagram, yes. It appears to be pulling down expansion audio, atleast with Akumajou Densetsu and Just Breed. 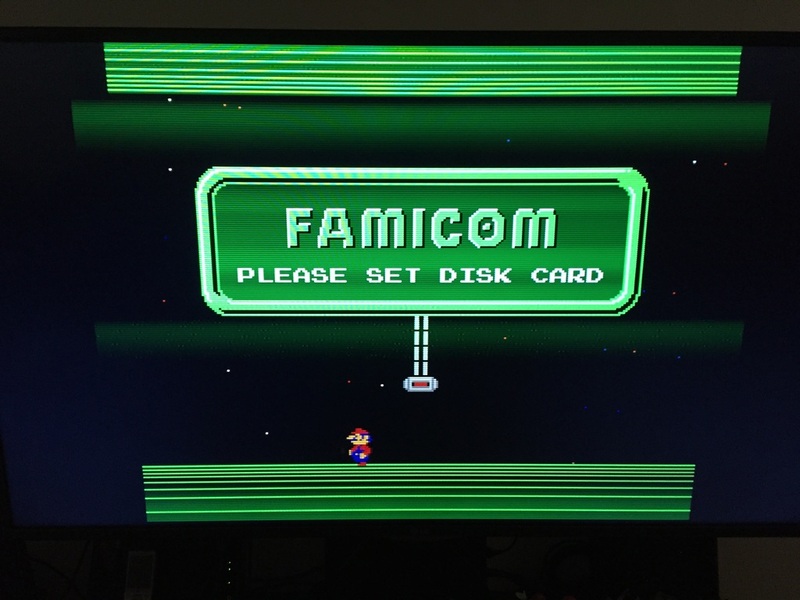 If you would like, I can reinstall it and test with Lagrange Point and the FDS to see if this is a consistent occurrence, although I don't have a Namco 163 cart. I have a question about the NESRGB does anyone else get a speaker pop when they turn on their system? 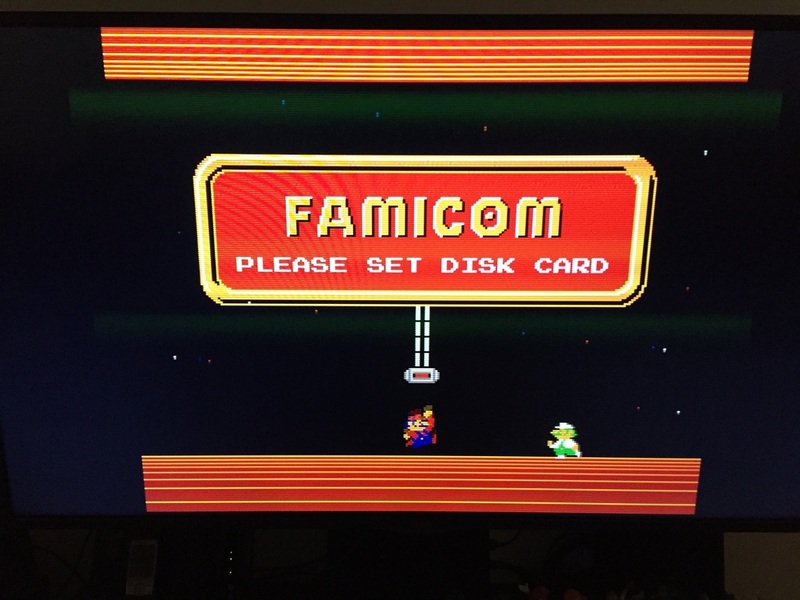 I just bought a pre-modified AV Famicom system from eBay and every time I turn it on, I hear a pop from my speakers. The first time is always the loudest and if I turn it off, switch a game and turn it back on the pop is much weaker. 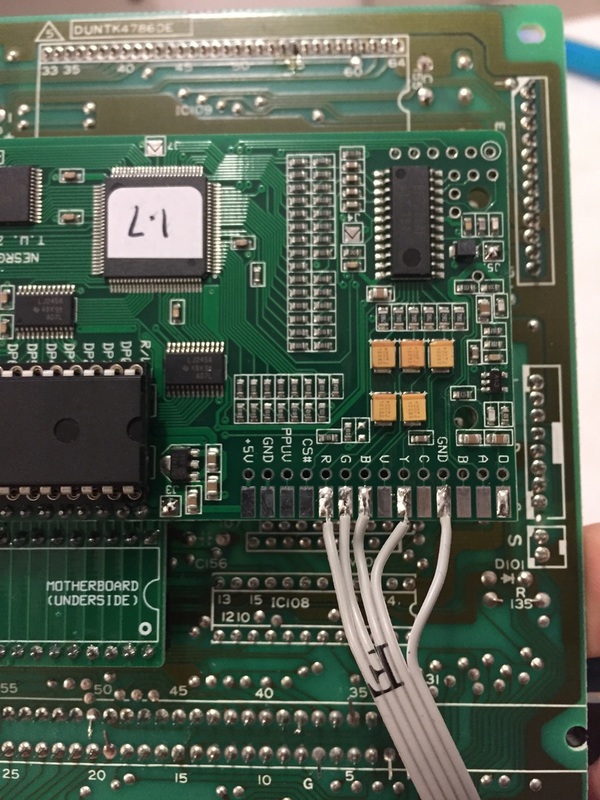 The system is using the original audio circuit so it doesn't go through the NESRGB mixing circuit, and sadly it does use composite sync instead of CSYNC, but the picture is still pixel perfect. Just thought I would ask if this was normal. It's normal operation for all game consoles of the era. The pop sound is the audio circuit biasing itself. Given the space and the budget it can be removed. 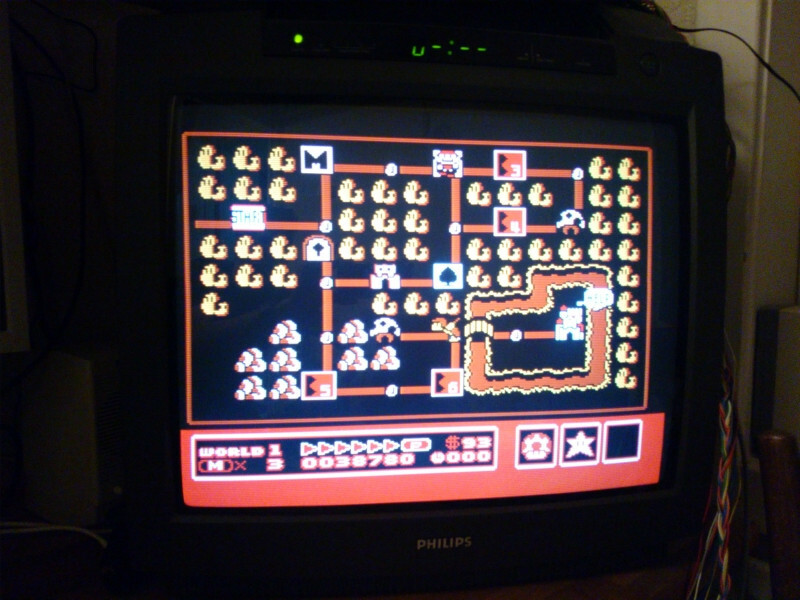 For example, original Famicom version of the NESRGB kit has separate board which is mostly dedicated to audio. It eliminates the turn on pop and reduces the size of the turn off pop. 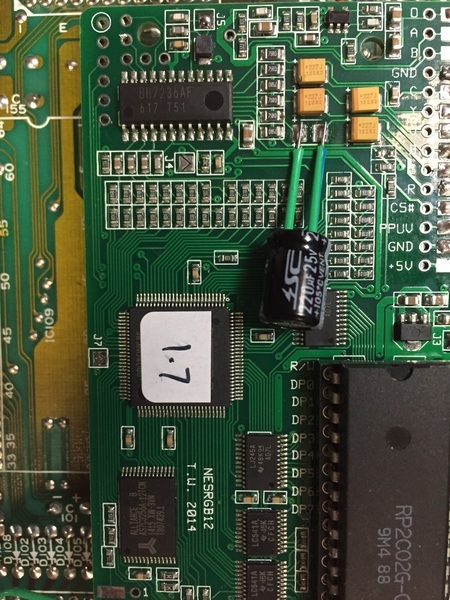 I actually may have someone wire up the board so that it uses the NESRGB audio circuit rather than the original, and possibly the expansion audio. I don't believe I have any games that use the expansion audio but might as well if I'm going through the trouble of having it wired up for CSYNC and NESRGB audio mixing. If the NESRGB circuit dampens the pop then well worth it. Question, would you wire the single audio output wire of the NESRGB to both L and R (Pins 11 and 12) on the multi-out for dual mono correct? 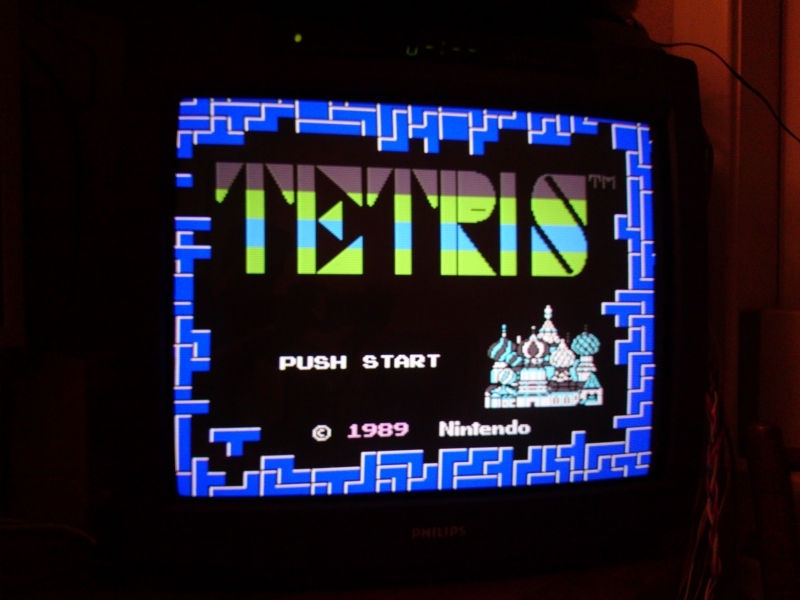 I decided to brave opening up my RGB modded NES and restore the expansion audio channel. 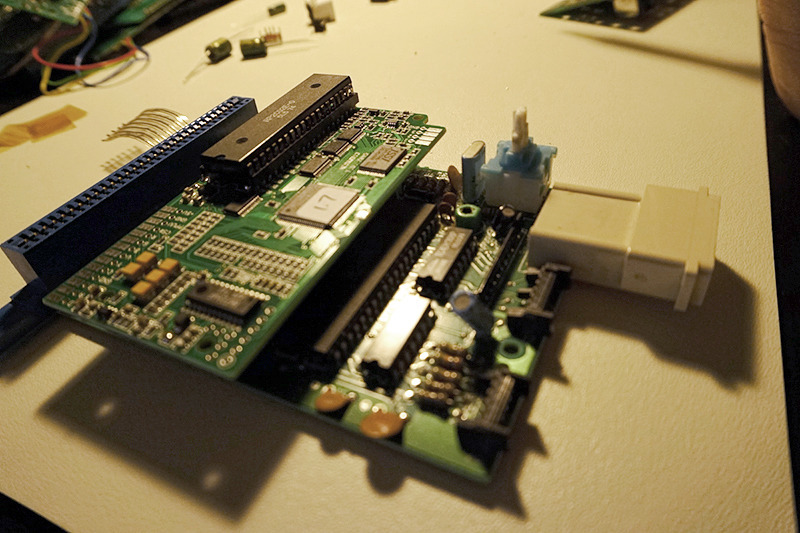 This requires adding a resistor between pin 9 and 3 of the expansion connector on the NES motherboard. Many references claim the resistor needs to be 47k, but retrofixes.com claimed better results with a 24k resistor. So I went with 24k and it worked beautifully! I loaded up the Japanese version of Castlevania 3 on my EverDrive and it sounds perfect! The wire leads are wrapped completely around the pins, and then soldered into place after I clipped the excess wire coming off the pins. 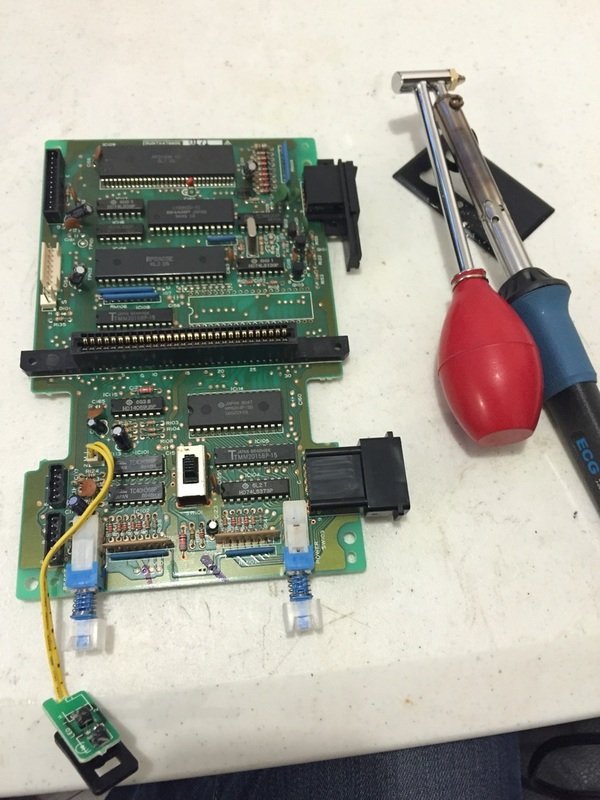 I've rigged a 2nd NES deck to where I can test multiple different resistor levels and record the results into my computer using stage 1 one of Castlevania 3. I've just finished a direct recording of 24k and 47k, and I now have to disagree with retrofixes.com about 24k being better sound. To me it sounds much too loud whereas 47k sounds closer to accurate. However, my 'control' recording still suggests 47k is too loud, so I'm going to try higher resistor levels until maybe I can dial in the perfect ratio. I've got 56k and 68k on hand, so I'm going to test those next. I'll report back what sounds the best of the lot. Well, just wire a 24k resistor in series with a 50k log pot and you'll be able to dial in your setting (in the 24-74k range) on the fly. Could just throw a 100K pot in series as a rheostat and get ~0-100K . Right, but I'm just afraid 0 could harm the NESRGB audio circuit since it was designed to have a resistor there from the start. Not a big deal. I just replaced the 24k with a 56k and it sounds kosher on Akumajou Densetsu through the EverDrive N8. However, I will state that the EverDrive is actually emulating these extra sound channels, and its emulation of the FDS sound channel is completely off and sounds like crap. Glad my old article could help you. Further down the page it discussed using 24-60k range of resistors. Using Carts vs Flashdrives can vary in volume. You stated that you found the 56Kohm perfect. Did you know that the Everdrive has 2 expansion audio Levels in the software? Hi and LO. Which setting were you using with the 56k resistor? It was default to the "Hi" setting. 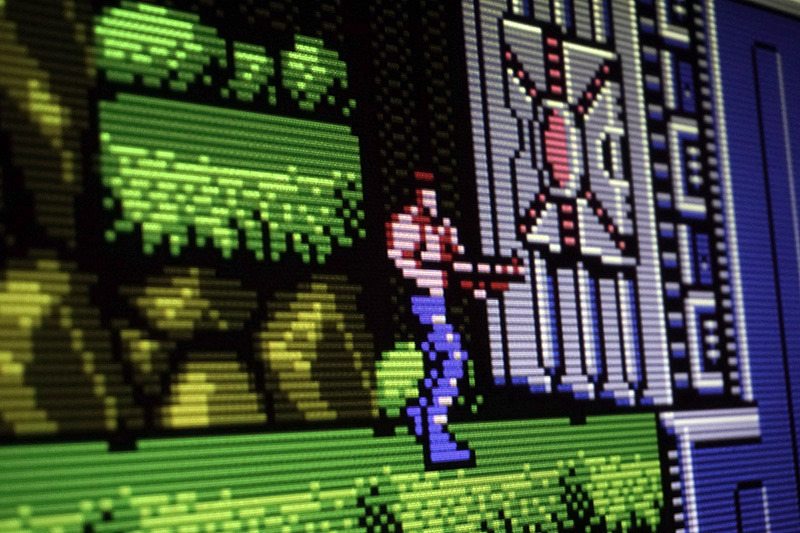 When I tried it just now on "Lo", I couldn't here any of the expansion audio for Castlevania 3.
some pics of the video, connected through XRGB mini. pics of the installed NESRGB. Try increasing the black level and lowering the brightness level in the Framemeister just to see if it removes the background noise. Maybe the output capacitor is busted on the green channel? Tantalum caps can be a bit sensitive. in deed it was the capacitor on the green channel, thank you very much yxkalle and FBX for your help. sorry for the delay and the cell phone photos. Hello all! I just registered on the forum and this will be my first post! I just got an old famicom (HVC-CPU-GPM-02) and am about to mod this to my liking. I am currently stuck at the options I got regarding the audio. I plan to order the NESRGB with the power/audio board to go with it. I'm about to add regular controller ports to the console with support for zapper and mic by a toggle switch. I've also learned that my revision of motherboard has a bad value on a resistor before sending the audio to the cart. 43K would make sound come out too low before mixing with cart/everdrive. If I was to use the NESRGB audio circuit and get sound directly from CPU, where do I connect the cable from the mic (with R3 in line) and where to swap resistor(s) for a trimpot? 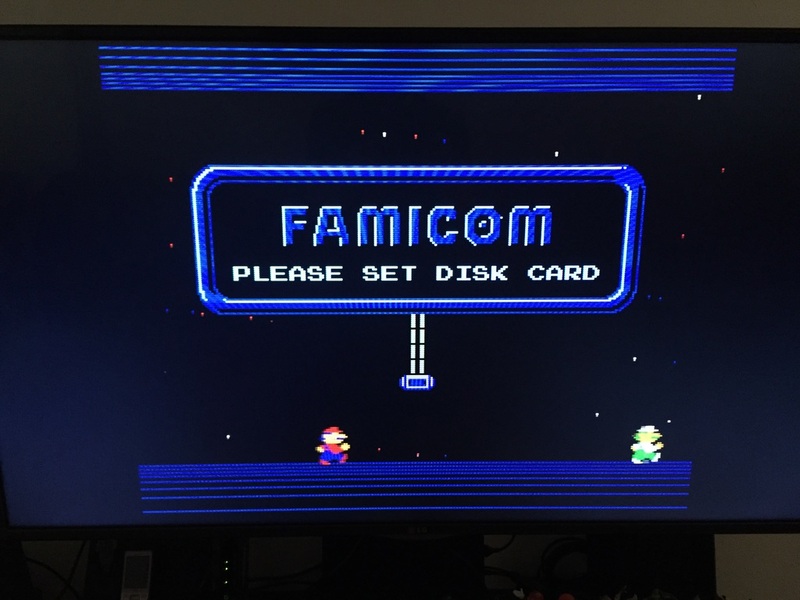 The only thing I found in this thread was the fix for the AV famicom but that fix does not make use of the power/audio board shipped with the old famicoms, right? 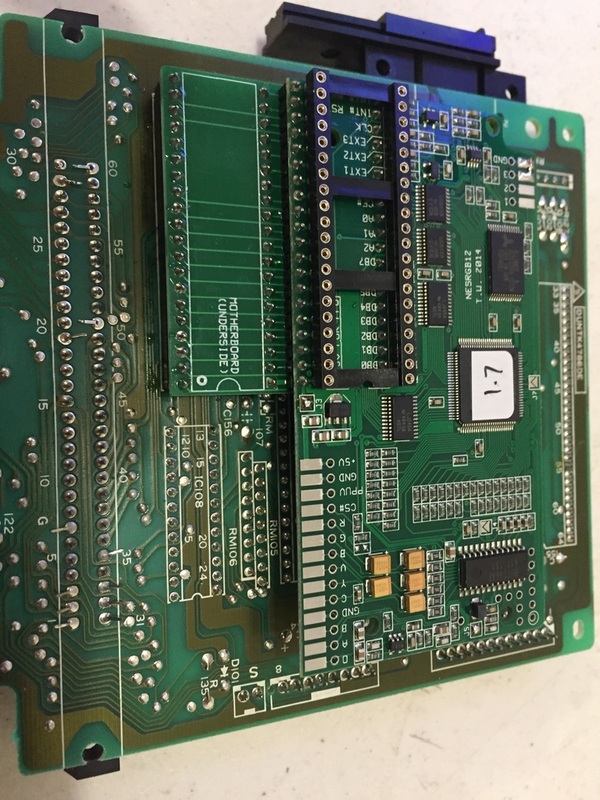 A schematic for the power/audio board for the NESRGB would be very helpful! So, how to do to keep mic and be able to adjust sound level before the mixing with expanded sound from cart? I believe that SNES SCART cables have caps in them already. So it's safe to remove that cap and just jumper the 2 pads. I don't think he's using a SNES/GC cable. @reimon00 glad to be able to help you! Notised that the NESRGB currently is out of stock. The shop also mentioned an upcoming retailer in Germany. Anyone know when this shop might be up and running? Also, if mic turns out to be hard to implement into nesrgb audio board, I propably will settle for it just working but not come through to the CRT.. It would be cool still to be able to mix audio levels by a knob. 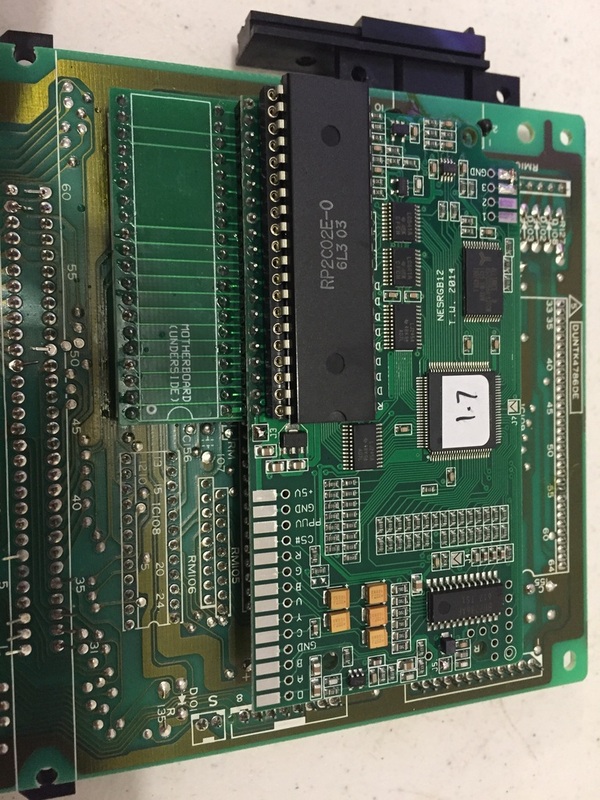 Anyone have a working NESRGB board spare which a friend to me can purchase? I'm brand new to the Shmup forums, so I don't want to sound like a jerk or anything, but I was hoping someone here could help me out. I have an NES toploader that I would like to have modded with the NESRGB. I'm located in the US and was hoping to be able to send off my console to someone also located in the US. I would prefer to buy a packaged deal, ie whomever I send it to would have all parts on hand to do the mod. You can look me up on the sega-16 forums under the same name. I am always on-time with my payments and I don't mind working with you to make this an easy deal. If I'm out of line or anything like that, please let me know. I don't want to be a nuisance on this forum. Does anyone know when the NESRGB boards will be back in stock? I would like to purchase the board the the replacement toploader AV panel, but I'm having no luck finding an in-stock source. A year later, and I have this figured out. The console in question contained a 7806, instead of a 7805. The Nintendo parts are all robust enough to merrily chug along without fault at 6V, but the NESRGB is apparently more sensitive equipment. tl;dr I soldered in a 7805 and now everything works as it should. tl;dr my first PPU desolder didn't go so well. Learned a lot and will try again. Last edited by intrepidbreak on Sun Sep 13, 2015 1:10 am, edited 1 time in total. Thanks FBX for your help! I found another modder in the US, Wesley Almond, through the NESRGB page. He was one of the recommended modders on the site, so it should go well. Thanks for not roasting me about my first post. Much appreciated. I'll be sure to let you guys know how this goes. Thought I'd make a RGB cable while waiting for the kit to get in-stock again. On Viletilm's RGB cable circuit board, it doesn't seem to be any capasitors nor resistors? Just a straight connection from 8-din to scart pins, right? Did a quick little design for a PCB that would let me attach my USB Blaster to the NESRGB without having to slice up the cable. 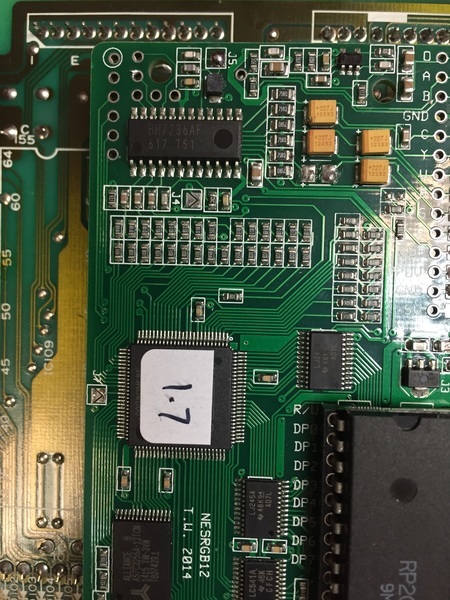 The board only provides that the active IDC pins are available, so I plan to simply solder in machine headers instead of having an actual IDCC10, as well as for the JTAG connection. 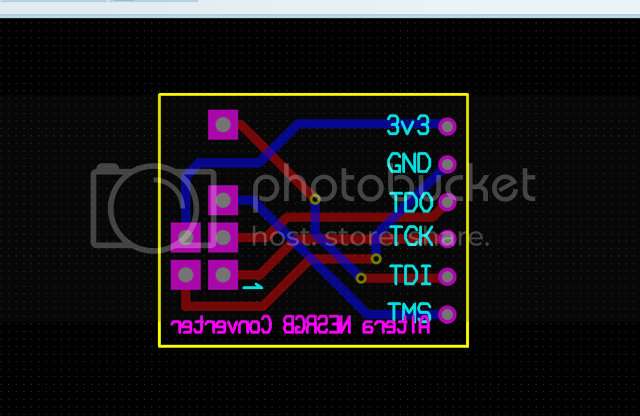 It's also probably the smallest board I've ever designed, having an area of just over 0.55in². Admittedly, probably not really necessary, but I prefer this solution personally as opposed to destructive modification to my, quite permanently attached, USB Blaster cable.